Remove the brake drum. Refer to Brake Drum Replacement. Remove the drum brake adjusting hardware. 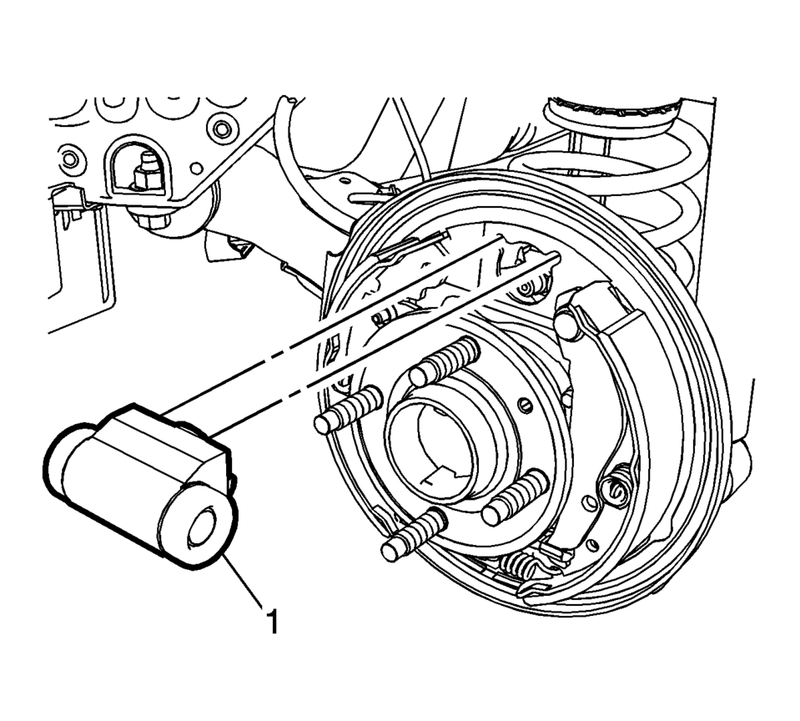 Refer to Drum Brake Adjusting Hardware Replacement. Clean the area surrounding the wheel cylinder of dirt and debris. Remove the rear brake cylinder bleeder valve bolt (1) and cap (2). 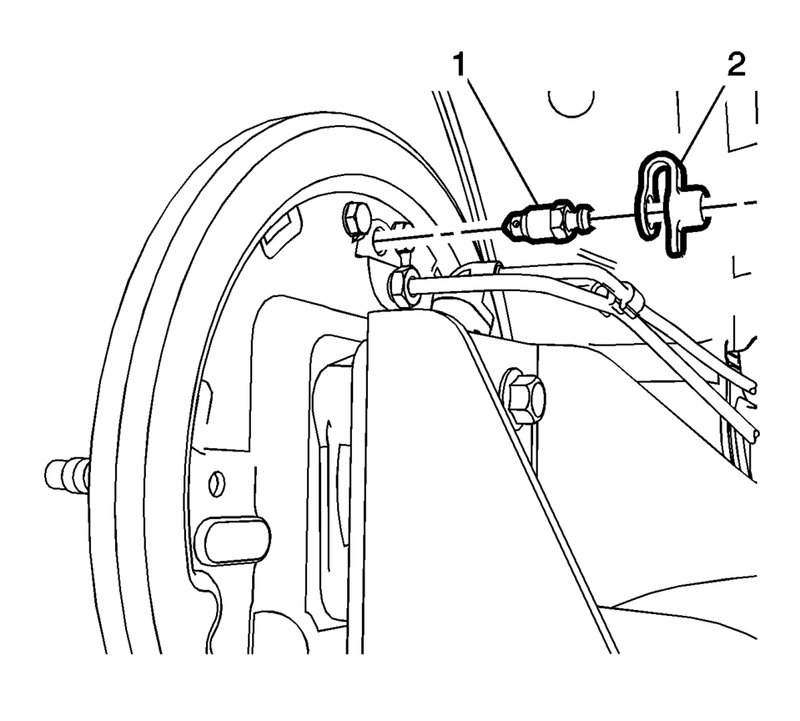 Disconnect the brake pipe fitting (1). Cap the brake pipe fitting to prevent brake fluid loss and contamination. Remove the rear brake cylinder bolts (1). Spread the top of the brake shoes slightly and remove the rear brake cylinder (1). 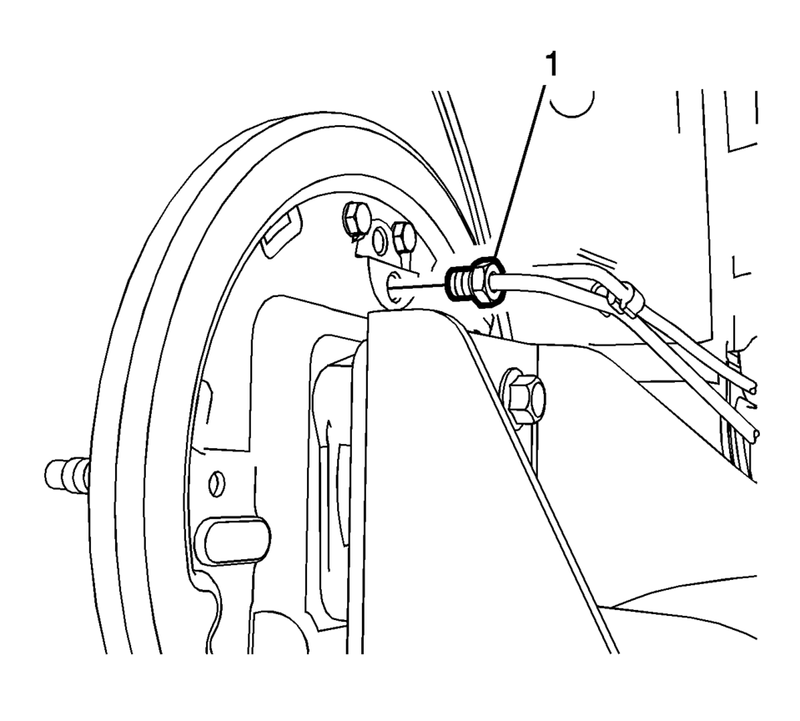 Spread the top of the brake shoes slightly and install the rear brake cylinder (1). Install the rear brake cylinder bleeder valve bolt cap (2). Install the drum brake adjusting hardware. 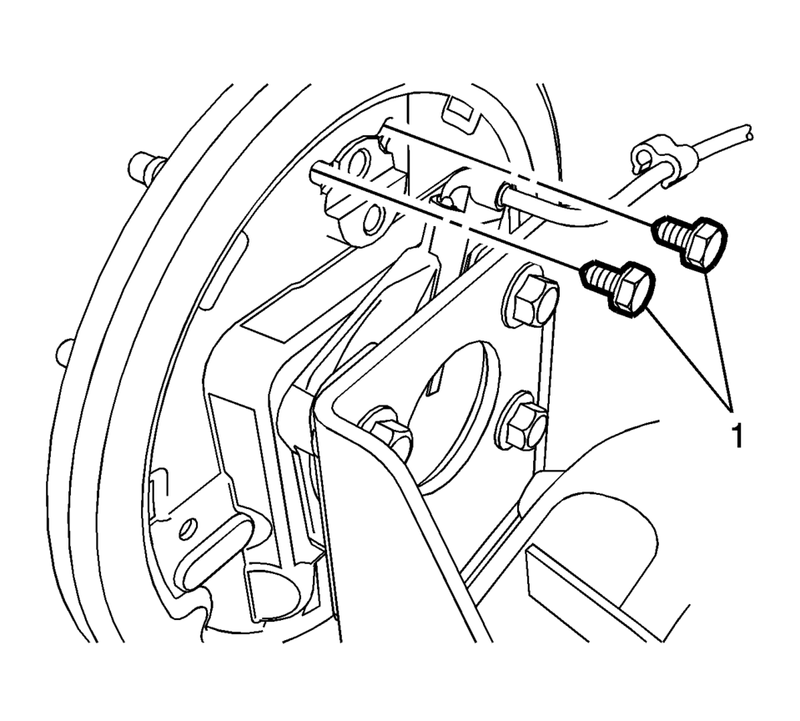 Refer to Drum Brake Adjusting Hardware Replacement. Adjust the drum brakes. Refer to Drum Brake Adjustment. Install the brake drum. Refer to Brake Drum Replacement.